Summary: Car rental companies thrive off of fees and additional charges. Be sure that you don’t get slammed with this on your final statement by following these tips. Planning to find a car rental company for your family vacation overseas? You might think it’s as easy as a click of a button. But, there are numerous red flags that you need to keep an eye out for. If you’re going for a short term car rental in Abu Dhabi, you might already be covered by your current automobile insurance policy and might not even know it. Before you go ahead and sign up with, most likely, an overpriced insurance plan for your trip, check with your current insurance broker first. 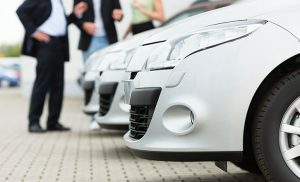 Depending on where you rent your car, there are different types of insurance that might be included with the price of the rental, so be on the lookout for that as well. Be sure that you carefully check the policies of the rental company that you’re interested in. A car hire in Abu Dhabi may have a separate policy than a long term car rental. One of them may include when to return the car. You could avoid paying that extra $20 if you have only returned it 30 minutes before the closing time. And, if you want to avoid being hit with additional fees because you mixed up the policies, address this first with one of the attendants. The last thing you’ll want to get hit with is a charge for damages that were already there before you rented the car. Walk around the car and inspect both the exterior and the interior thoroughly. If there are previous damages or scuffs, be sure to document this and present it to the rental company representative beforehand so they can take note of it. This is especially important if you’re thinking about a monthly car rental in Abu Dhabi.